This is as the company prepares to hit the market with one million metric tons of Dangote rice in 2018. The Dangote Youth Rice Farm project, mainly an out-grower scheme for youths only, was flagged off at the Lower Niger River Basin Authority, Kampe, Ejiba in Yagba West Local Government Area of the state where youths have embarked on rice cultivation over 100 hectares of land. The rice farm project, which was preceded by a special training for the youth farmers on the dynamics of rice farming, will see the youths cultivating the rice paddy on a 100 hectares of land, which will then be bought over by the company for processing. Under the scheme, the Dangote Rice Company provides the seedling, anti-pest-chemicals, and fertilizers while the Basin Authority provides the land for the young farmers. The management of Dangote Rice led by the Group Executive Director, Mr. Devakumar Edwin, flagged off the project while taking delivery of some rice paddy bags produced from the pilot project. Edwin explained that the project is a new dimension to the efforts by the pan-African conglomerate, the Dangote Group, at ensuring food security and creating job opportunities in Nigeria especially for the youths. He said the initiative is in line with the vision and commitment of Dangote Industries Limited to create a new generation of agri-preneur that will revolutionize the Nigerian agricultural sector. According to him: “We believe skill, knowledge, enabling environment, collaboration and linkages along the value chain are driving forces for economic empowerment and social development in line with the Federal Government policies. This project will address the skills gap in local rice production among unemployed youths by providing technical, organisational and financial requirements. Mr. Edwin disclosed that most modern rice mills in Nigeria presently operate at not more than 20% capacity utilization due mainly to lack of good quality paddy and that Dangote Rice aimed to change this situation developing and adapting out-grower schemes. 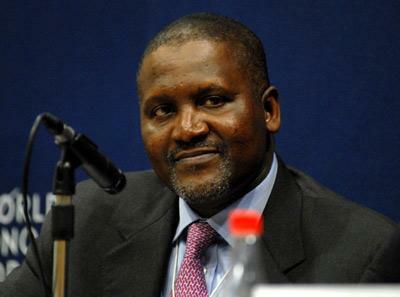 According to him, the Dangote Rice Company plans to set up a 150,000 metric tons integrated rice mill and offer for sale one million mt of par boiled rice by 2018, saying “The second factor is the need to strengthen the on-going efforts at producing rice for self-sufficiency so that we can save foreign exchange. Mr. Edwin said the Kogi pilot project will cover four seasons of two years and will be launched in four other states soon. Speaking, Managing Director of Dangote Rice, Mr. Robert Coleman, urged the youth farmers to concentrate on the project and pay attention to details so that they would come out with good paddy yield. The post Dangote employs youth graduates for rice farming in Kogi appeared first on Vanguard News.